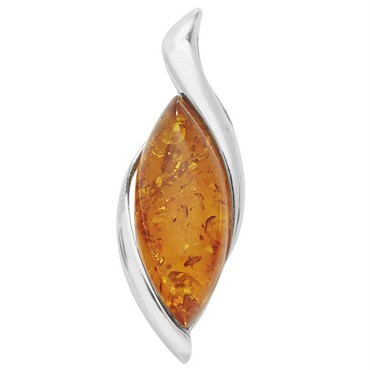 Sophisticated and colourful, the Amber Drop features the much-loved, classic amber stone in a contemporary Sterling Silver setting. Comes complete with a Sterling Silver chain. Size: 3.5cm.